At a time when many four-time Grammy winners might be doing victory laps with concerts of their greatest hits, blues artist Kevin Roosevelt Moore, better known as Keb’ Mo,’ was busy releasing the Grammy- winning album “TajMo,” a collaboration with fellow blues legend Taj Mahal. The 2017 album won a Grammy for Best Contemporary Blues Album. 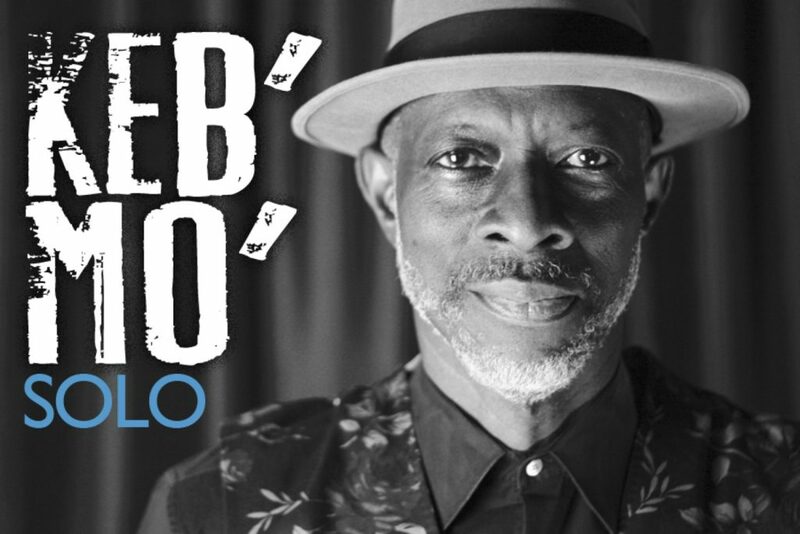 Keb’ Mo’ is an American blues musician and four-time Grammy Award winner. He has been described as “a living link to the seminal Delta blues that traveled up the Mississippi River and across the expanse of America.” His post-modern blues style is influenced by many eras and genres, including folk, rock, jazz, pop and country. The moniker “Keb’ Mo'” was coined by his original drummer, Quentin Dennard, and picked up by his record label as a “street talk” abbreviation of his given name. The singer/songwriter with the red guitars is known for his work as a live and studio artist and he has collaborated with everyone from Bonnie Raitt to Vince Gill. He appeared at the White House in 2015 in a special concert celebrating American creativity. The activist is a long-time supporter of the Playing for Change Foundation, a non-profit that creates positive change through music education to children in nine countries and he is a celebrity mentor with the Kennedy Center’s Turnaround Arts program, where he works with students and teachers at the Johnson School of Excellence in Chicago. Keb Mo’s career began with his playing steel drums and bass in a calypso band. He went on to play backup for a variety of bands and started recording in the 1970s with Jefferson Airplane violinist Papa John Creach. His first gold record was for a song called “Git Fiddler” that he co-wrote with Creach for the Jefferson Starship. His career took off in 1994, with his new name, Keb’ Mo,’ and a self-titled album. His 14 albums have won him four Grammy awards and a producer/engineering/ artist Grammy certificate for a track on a 20001 tribute to Hank Williams. A versatile performer, his Grammy nominations included Country Song of the Year for “I Hope,” a song he co-wrote with the Dixie Chicks. He has also won 11 Blues Foundation awards and six BMI awards for work on television and film. On the website for the new project, “TajMo,” the collaboration with blues master Taj Mahal, the two artists discussed how they have known each other for decades. Keb first saw Taj perform in a high school assembly and became a fan. They have wanted to work together for some time, but were waiting for the right project.